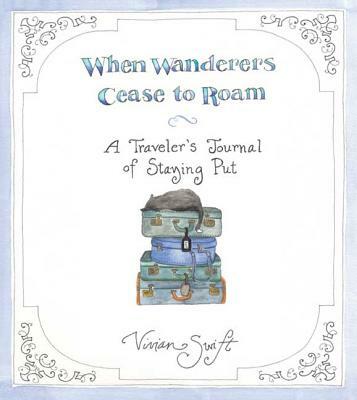 Following a lifetime of trekking across the globe, Vivian Swift, a freelance designer who racked up 23 temporary addresses in 20 years, finally dropped her well-worn futon mattress and rucksack in a small town on the edge of the Long Island Sound. She spent the next decade quietly taking stock of her life, her immediate surroundings, and, finally, what it means to call a place a home. The result is When Wanderers Cease to Roam. Filled with watercolors of beautiful local landscapes, seasonal activities, and small, overlooked pleasures of easy living, each chapter chronicles the perks of remaining at home, including recipes, hobbies, and prized possessions of the small town lifestyle. At once gorgeously rendered and wholly original, this delightful and masterfully observed year of staying put conjures everything from youthful yearnings and romantic travels to lumpy, homemade sweaters and the gradations of March mud.